Kehilla offers adult classes, learning events and other study opportunities, reflecting the interests and goals identified by congregants. If you have an interest in learning in a particular area, or would like to volunteer to help make these opportunities possible, we welcome your email to adulted@kehillasynagogue.org. Please scroll down for current offerings. *For new students, the learning begins on March 25th, with a Crash Talk. Returning students are welcome at the March 25th session, but are not required to attend. Dates: Monday’s from 7-9pm, October 22, November 26, December 17, 2018 and January 28, February 25, March 25, April 22 and May 27, 2019. If you’ve been thinking about giving your interest in Jewish experience more focused attention, Kehilla would like to encourage, and help support your effort. However you define what “Jewish” (or “Kehillian”) experience means to you, there are opportunities to explore and enrich that part of your life. You may have a desire to study toward a bar/bat mitzvah ceremony, or a conversion, or just to give yourself the gift of deeper personal exploration. We invite you to a 6-month commitment starting at the High Holy Days. 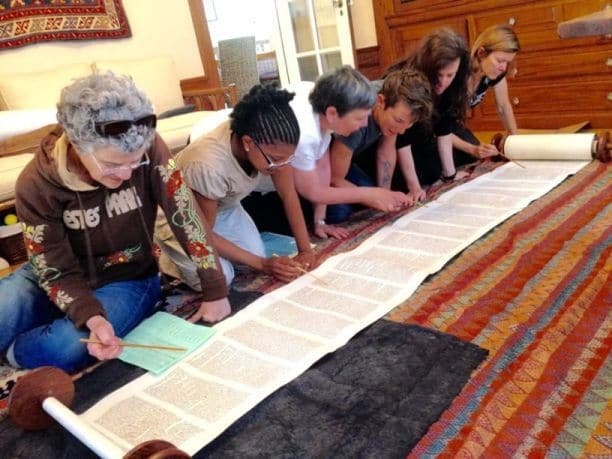 Those interested will choose among a variety of experiences: classes (Hebrew included), groups, partnered study (chevruta), solo study, personal reflection and exploration of mitzvot and the spiritual underpinnings of social action. Some participants will identify a concrete goal; others will just see what develops. If this intrigues you, please respond (“I’m curious” is a sufficient response, more is welcome) to experience@kehillasynagogue.org . No commitment now—let’s talk!